Climate change is advancing and it is having a huge impact on farm productivity in many parts of the world, including Vietnam, a country with high economic and demographic development where already 10 million people - 11% of the population - are suffering from malnutrition. 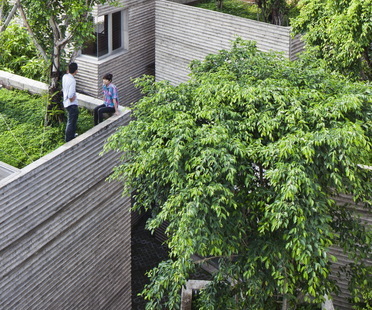 Architect Hiep Hoa Nguyen, founder of A21Studio, was awarded the Archmarathon Award for the Private Housing category thanks to his design of the Saigon House, a private house built in Hồ Chí Minh City (Vietnam) for a family with seven children. 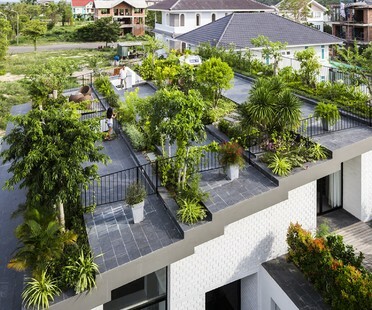 This project is a tribute to the old city of Saigon. 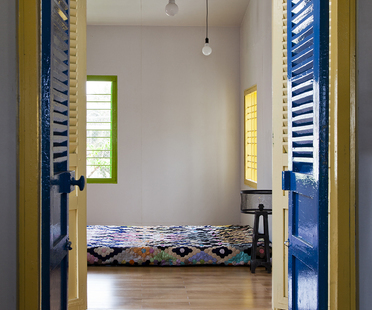 The young Vietnamese architects of a21studio designed The Nest, a reporter’s home in the Bình Thạnh district of Ho Chi Minh City. Made entirely of metal, The Nest was designed with a lightweight beam and pillar structure covered with a grid that becomes both a fence and a support for luxuriant vegetation. The Binh Thanh house is a good introduction to the contemporary architecture of Ho Chi Minh, as seen from the point of view of Vo Trong Nghia Architects, a young but well-established Vietnamese studio. Its characteristic bare concrete façade serves as a sunshade. The work makes use of traditional local forms, interpreted with a view to achieving sustainability. 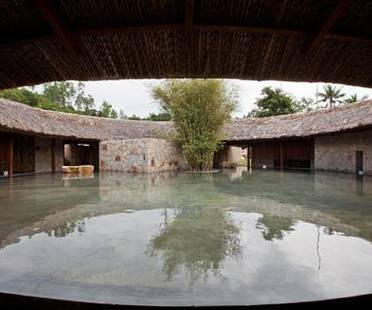 The “i resort” project by Vietnamese architectural practice a21 studio is characterised by close contact with the natural world that provides the mud used for treatments in this resort in Nha Trang City.